Bernie has been involved in gymnastics for over 20 years. She began her coaching career in Boise, Idaho where she coached for 6 years. She moved to Arizona in 1995 for a more challenging experience, which was Director of a gym in the west valley. 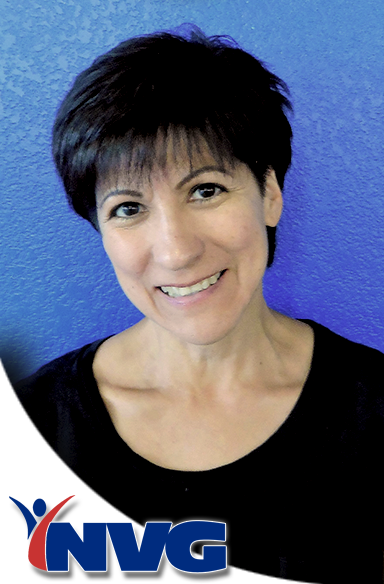 She has coached every aspect of gymnastics including parent-tot classes, pre-school, recreational girls and boys, developmental and competitive team girls, as well as competitive cheerleading. Bernie’s focus changed in 2004. her love for the sport led her into new and innovative areas. She started her own program working specifically with special needs students. She specializes in one- on- one physical activity instruction, using gymnastics equipment, for special needs children. As one parent says, “its’ physical therapy and occupational therapy in a fun and safe environment”.